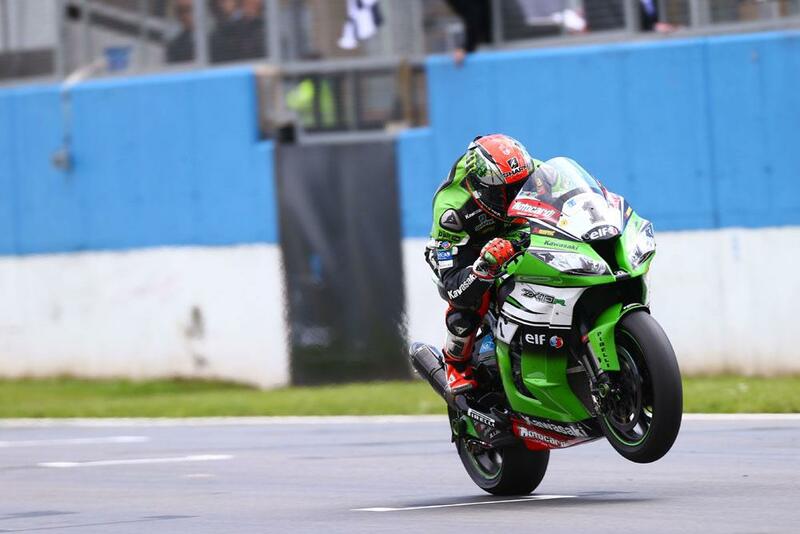 Tom Sykes secured a stunning victory in the opening WSB race at Donington Park after fighting back from 11th on lap one to secure victory. The reigning WSB champion looked to be struggling in the early laps and dropped down the field from his third row starting position. He spent the first part of the race at the back of a group of Brits – Jonathan Rea, Leon Haslam and Chaz Davies while the front group ahead, pulled away. But with some determined passes he got to the front of his group before upping his pace on the clear track ahead of him to close in on the lead group. Lapping over half a second a lap faster the factory Kawasaki man was soon embroiled in an intense battle with team-mate Loris Baz for the victory, which after a handful of hard passes went to Sykes. 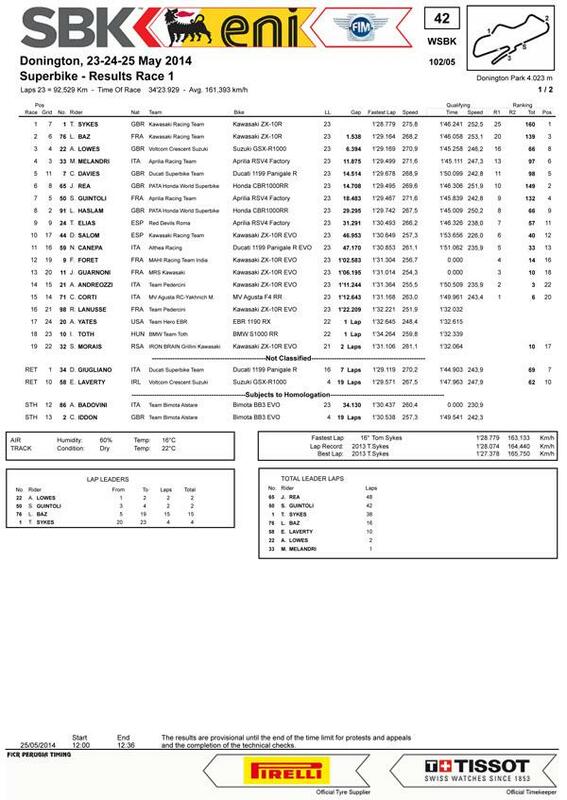 With Baz securing second, Voltcom Crescent Suzuki rider Alex Lowes claimed a brilliant podium. The second of his WSB career – but significantly his first dry weather rostrum.